Earlier I shared with you how I made these fun glittery heart milk bottles. Bottles that can be used to decorate your Valentine’s Day dinner or party. 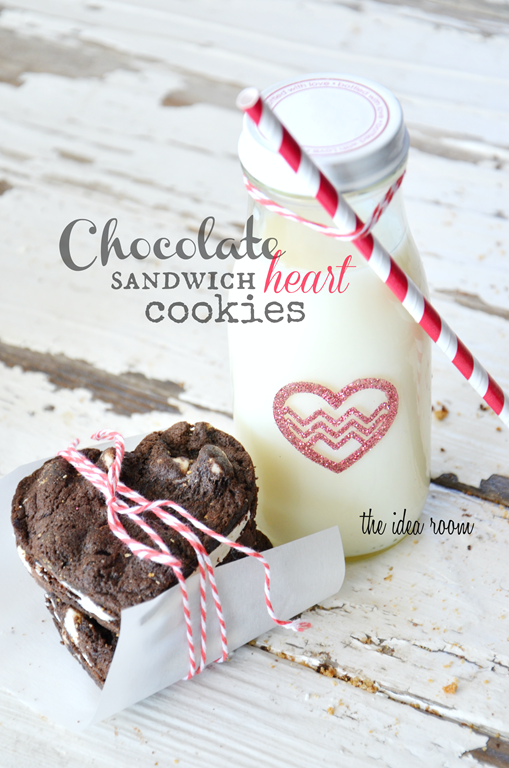 I had a few of you email me and ask me for the Chocolate Drop Cookie Recipe that I used to make this Chocolate Sandwich Heart Cookies. Beat Shortening and butter with a mixer on Med-High speed for about 30 seconds. Add half of the flour and mix it with the sugar, brown sugar, milk, cocoa, eggs, vanilla and baking soda. Fold in any add ins. Drop by rounded teaspoons onto an ungreased cookie sheet. Bake at 375 degrees for 8 to 10 minutes till the edges are slightly crisp. After the cookies have cooled completely you can take a heart shaped cookie cutter and cut the cookies into hearts. Then slap on some of your favorite frosting between the flat sides of two cookies. 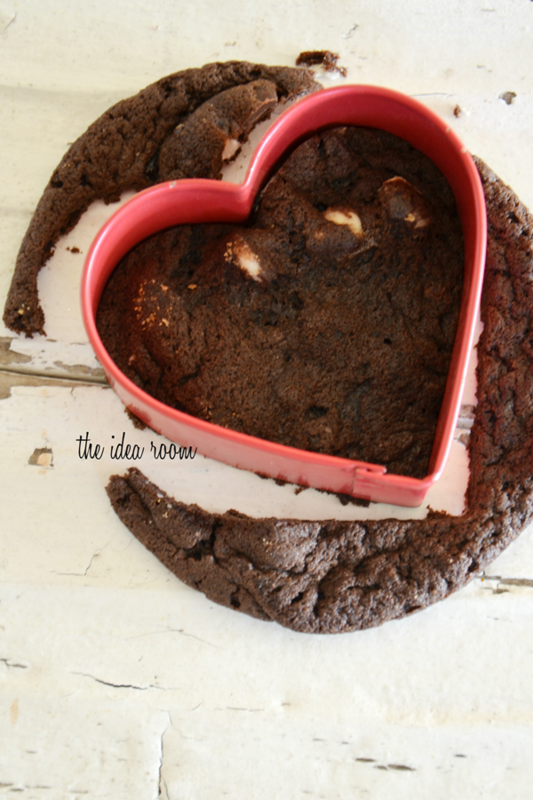 Now…some of my kids don’t love chocolate cookies…I know…weird. So we had a couple of chocolate chip cookies left over from last Sunday when the kids were craving Chocolate Chip Cookies. 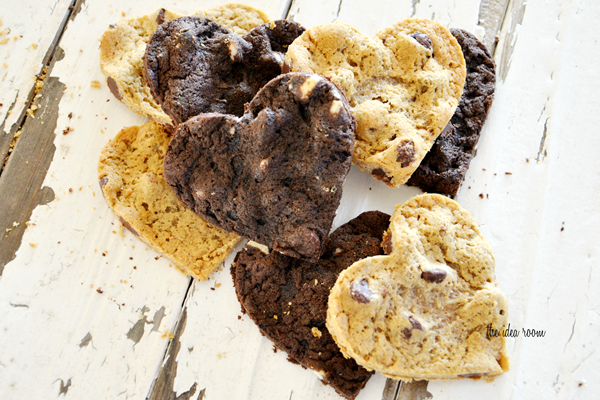 Serve these at a family party or give them away to friends and family! Yum! Biscuit Sandwiches! I think I might try these with some peppermint frosting when my oven heat becomes bearable again :) Cutest bottles I have ever seen! Wow! These look so delicious. Need to stock up on milk bottles I think. Hmm, Target are you listening? I will try making them tomorrow. I am sure they will be delicious and my kids will love them. Thanks for the idea/recipe. Thanks for the recipe and for the GF recipe! 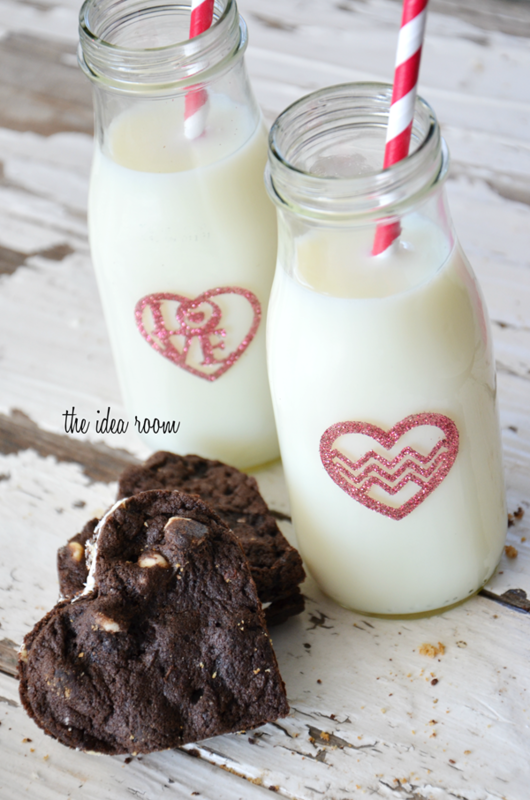 The cookies look so cute and the bottle does also of course! I was on the freecycle website and local woman was requesting a ton of Starbucks Frappuccino bottles and I figured she had to read your blog. haha! I always forget about that site. I should check it out. I do have quite a few projects I have used the bottles for! Oh, I have done the sandwiched versions with German Chocolate & Walnut with Cream Cheese frosting. This look mighty yummy!!!! 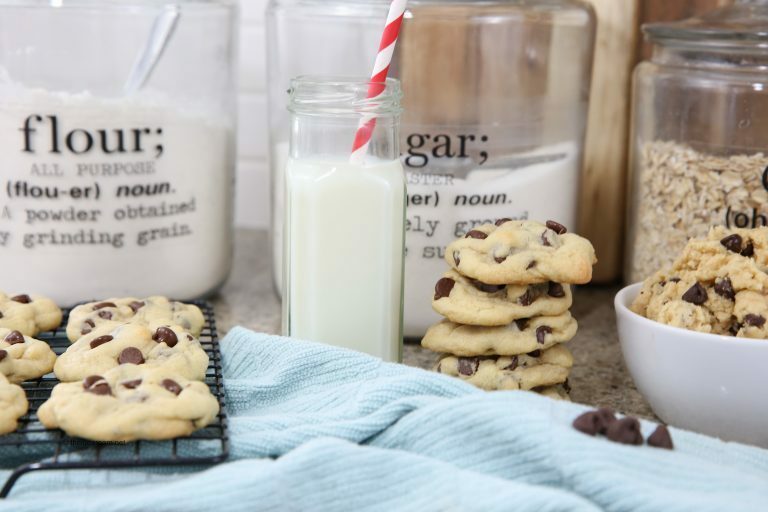 My guys would love the Chocolate Chip ones.